Are you looking for romantic honeymoon destinations in India? The honeymoon is the most private and the most memorable moment in everyone's life. There are many romantic destinations in India which are suitable to enjoy your honeymoon days. Here is the information on top 5 romantic honeymoon places in India. This is one of the most beautiful and romantic honeymoon destinations in India. This is the most preferred destination by honeymoon couples. The Coorg is situated in the western ghats of Southwestern Karnataka. This beautiful place is surrounded by hills and blossoming greenery. The gardens, the orange orchards, and the coffee plantations are the major attractions of Coorg. You can also visit the Abbey Falls and Iruppu fall in Coorg which will give you most romantic experience ever. The Abbey falls are located in the center of Coffee and spice estates and at the distance of 8 km from Madikeri town. Apart from falls, you can also visit Bylakuppe temple, Talacauvery temple and Bhagmandala Temple which are the real examples of Kerala Architecture. You can also enjoy fishing at fishing Camp at Valnur, near the bank of Cauvery River near Kushalnagar. Tawang in Arunachal Pradesh is another wonderful romantic honeymoon destinations in India for honeymoon couples. The pleasant and fresh climate and scenic beauty attract the visitors to this wonderful place. This place is also known for its thrilling adventurous places. The major attractions of Tawang are Chong- Chugmi ranges, Tawang Chu River and Tawang Valley which are simply breathtaking. The snow covered hills and the chilled weather of Tawang fills the romance in the air. You can enjoy the best moments of your life with your partner here. Also visit visit Tawang gompa , one of the biggest Buddhist Monasteries in the world. Auli is also known as the paradise on Earth among few people and one of the most romantic honeymoon destinations in India. The chill weather and the snow covered mountains are the major attractions of this place. The Auli is located in the Himalayan Mountains of Uttarakhand. This place is also known as Bugyal or Auli Bugyal. The breathtaking view of green gardens and tall trees along with sparkling white snow is jus exciting. Other major attractions of the place are Chenab Lake, Chattrakund, Kwani Bugyal. The adventure sports like trekking and skating are available here. You can enjoy the snowfall during the months of December to March to make your honeymoon more romantic. These exotic islands are the best option for you if you wish to spend your honeymoon days near the sea beach. Beaches of Daman and Diu are so relaxing and romantic that you can never forget your honeymoon experience in Diu and Daman. Being islands the destination offers you the fascinating water sports also. These amazing islands are located in the West Coast of India. The refreshing climate and tranquil atmosphere have made this place, one of the most preferred destinations for the romantic couples. Kasauli is also one of the romantic honeymoon destinations in India. The Kasauli is located in the hilly region of Himachal Pradesh. The place is very famous among bird watchers. The destination is a green forest with a variety of flora and fauna to spend some time in the company of nature. Other tourist attractions at Kasauli are Monkey Point, Sabathia Fort, and Christ Church. From Kasauli, you can enjoy the picturesque view of Himalayan Mountains along with beautiful lakes. If you wish to spend calm and pleasant atmosphere then this is the right place for you. Apart from all these above mentioned romantic honeymoon destinations in India, many other honeymoon destinations in India are also famous among young couples. If you love to spend your days with your partner in the company of valley and mountains then Shimla-Kullu-Manali is the most romantic option for you. 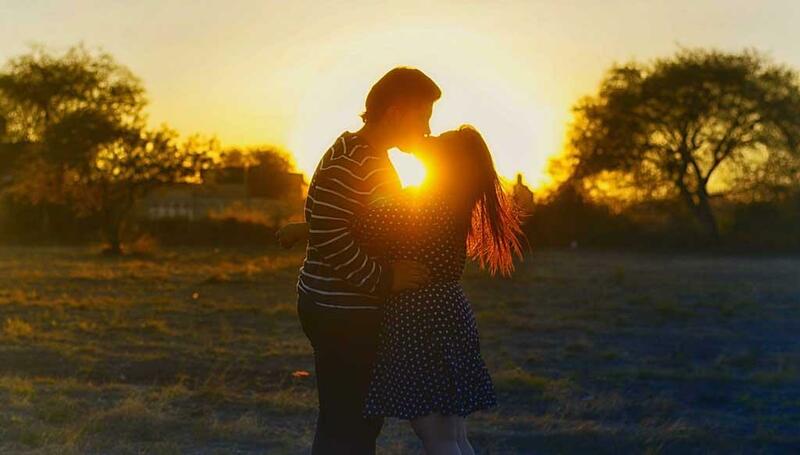 If you wish to spend your days in the arms of the mountains and in the very peaceful atmosphere then Mussoorie, Nainital or Ranikhet are great destinations for the honeymoon. Dharmasala in Hiachal Pradesh is also one of the top romantic destinations in India. Dharmasala is also considered as the Paradise on the Earth. The love symbol, Taj Mahal is also preferred by many couples to visit on their honeymoon days. The beautiful desert places like Jodhpur or Jaisalmer in Rajasthan are worth visiting places in India. Though the destination is a desert area, visiting the palaces and forts is an enchanting experience. If you wish to visit south India then many options like Kodaikanal, Ooty and Munnar are the other best romantic honeymoon destinations. You can enjoy the waterfalls and lush green valleys at this place. Selecting the honeymoon destination depends on upon the time span available to you, the financial budget and the choice of the destination of you and your partner. India is simply incredible and you can enjoy many destinations over here to make your most precious moments unforgettable. Auli in Uttarakhand is one of the most romantic honeymoon destinations in India. It is an ideal place for enjoying the picturesque nature. We made a visit to Auli on last November. This month offers very cold ambiance.